"The Princess Steel," a recently uncovered short story by W.E.B. Du Bois, and Afrofuturism. Photo illustration by Lisa Larson-Walker. Photo by Addison N. Scurlock courtesy National Portrait Gallery/Wikimedia Commons, whilerests/iStock/Thinkstock. “Can a community whose past has been deliberately rubbed out, and whose energies have subsequently been consumed by the search for legible traces of its history, imagine possible futures?” So queried cultural critic Mark Dery, who in the early ’90s coined the term Afrofuturism in “Black to the Future,” his introductory essay to interviews with cultural critics Tricia Rose and Greg Tate and sci-fi writer Samuel Delany. Dery’s nomenclature codified a current of futurist aesthetics thrumming through much of 20th-century art, music, film, and literature by black American artists, from jazz musician Sun Ra and funk legend George Clinton to fiction writers like Delany and Octavia Butler. Afrofuturism has continued to evolve in the 21st century. The past three years have seen significant museum exhibitions with Afrofuturist themes, and the concept has grown more prevalent as a method for social justice movements to imagine new ways to fight against systemic racism and socio-economic inequality. Yet as much as Afrofuturism is about the future, so too is it about the past. Britt Rusert, assistant professor of African-American literature and culture at the University of Massachusetts, Amherst, studies the short genre fiction of W.E.B. Du Bois as a way to think about what she calls Afrofuturism’s “pre-histories”—works of art and protest that embody its concepts but predate its late–20th century context. Rusert and Adrienne Brown, a colleague who teaches at the University of Chicago, have recently uncovered in Du Bois’ papers a previously unpublished fantasy story, “The Princess Steel,” which they have dated to 1908 and 1910—much earlier than any of Du Bois’ other speculative fictions. The story and their essay on the find appear in the most recent issue of the scholarly journal PMLA. Rusert and Brown’s find is a significant development in the study of Du Bois, author of 1903’s The Souls of Black Folk and the co-founder, in 1909, of the NAACP. 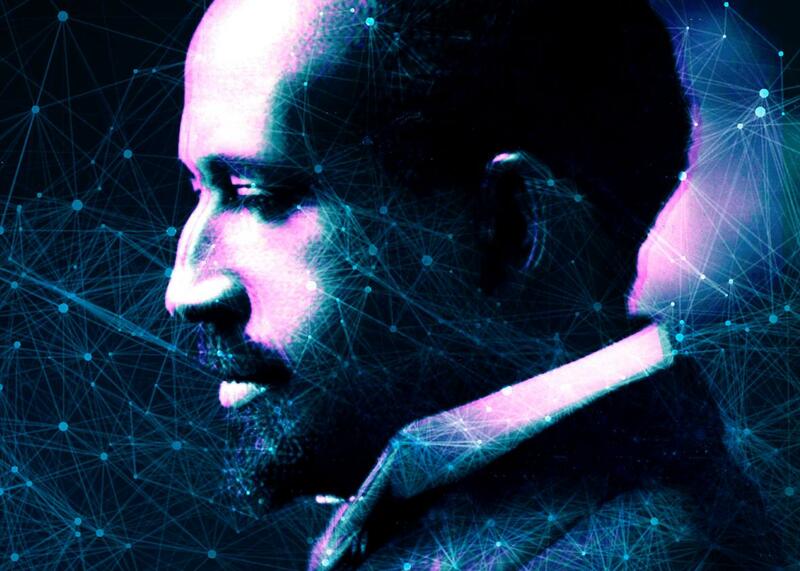 Critics and historians have traced his simultaneous turn toward a more radical politics of race and publication of science fiction works like “The Comet” to the 1920s, when Du Bois was living in the New York City of the Harlem Renaissance. According to Rusert, dating “The Princess Steel” to the final years of Du Bois’ tenure as a teacher at Atlanta University demonstrates “that he is talking about those things much earlier” and from a different geographic home than previously recognized.